Best thesis nominee and best advisor award for Technology and Policy! 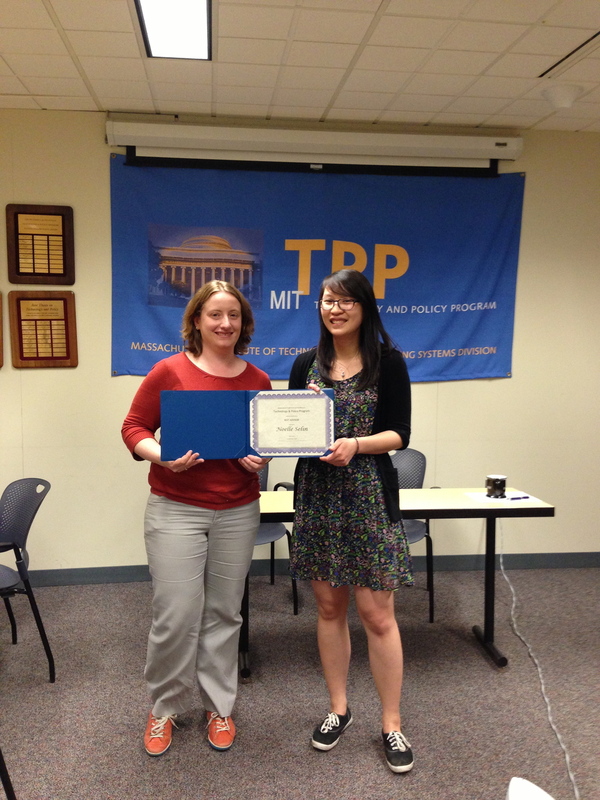 This spring, at the Technology and Policy Program thesis signing ceremony, the Selin group was doubly honored. Amanda Giang was a runner-up/nominee for the TPP Best Thesis award (nominated by Noelle), and Noelle Selin was named TPP's best advisor for 2013 (nominated by Amanda!) See a picture of Noelle receiving the advisor award from Amanda, below. You can also read Amanda's thesis here.